Nourishes and moisturizes dry, dehydrated skin, making it elastic and healthy. It has a rejuvenating effect by stimulating metabolism of the cells. Enriched with saffron, almond oil and pistachios. Contains extracts of turmeric and wild turmeric which has protective and anti-inflammatory properties. This cream is a natural source of vitamins and minerals to nourish the skin. Protects the skin from stains and defects. Active ingredients: saffron, turmeric, pistachio, almonds. Method of use: apply to cleansed and refreshed skin tonic. Can be used as a makeup base. 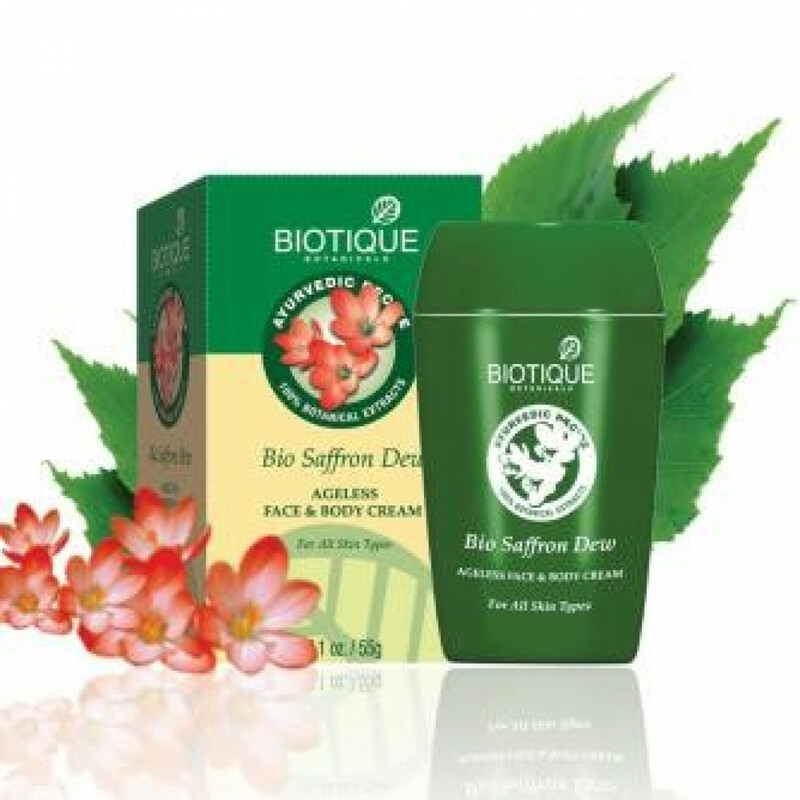 Original name: Bio Saffron Youth Dew cream Biotique. In our store You can buy authentic Cream anti-aging for face and body with saffron Biotic at the best price!